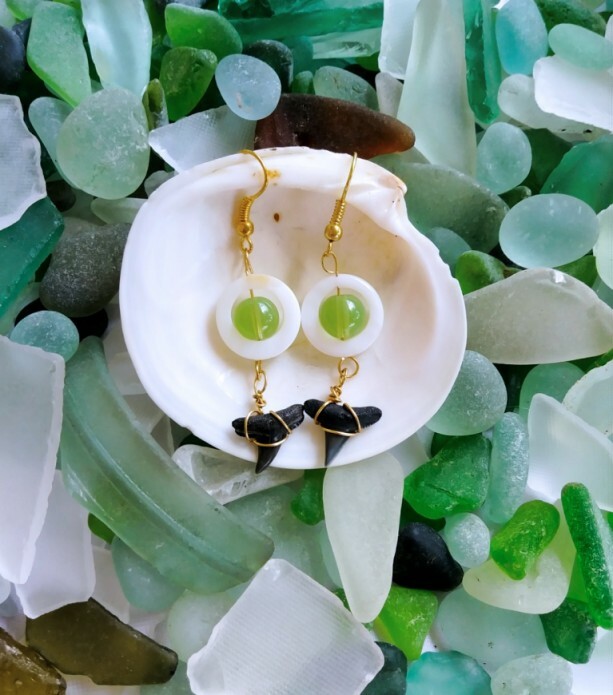 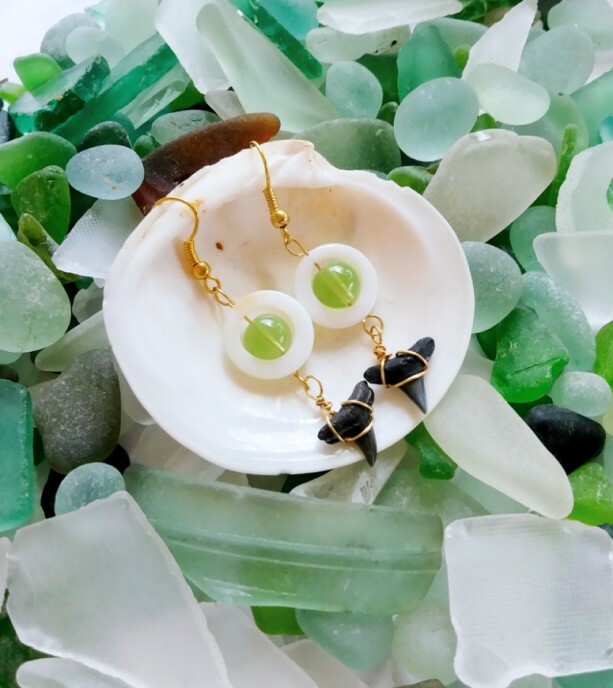 Shark teeth found on the East coast of Florida meet shaped and polished oyster shells to create this pair of earrings. 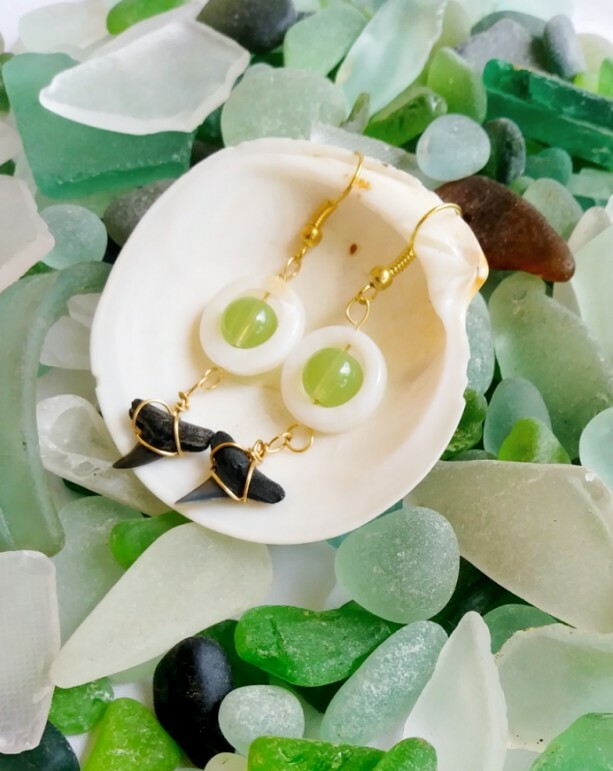 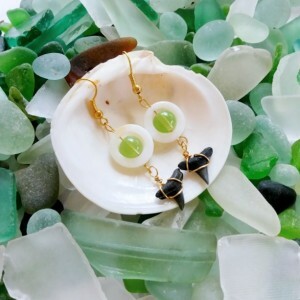 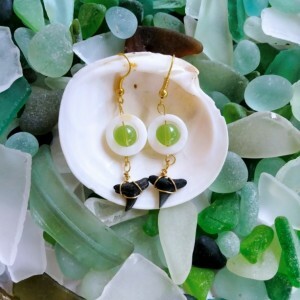 Perfect for any beach lover, these earrings are a piece of natural history. 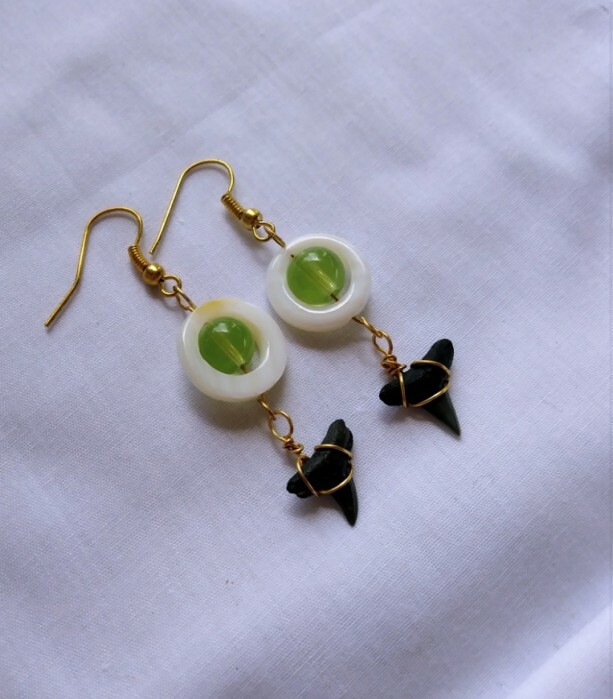 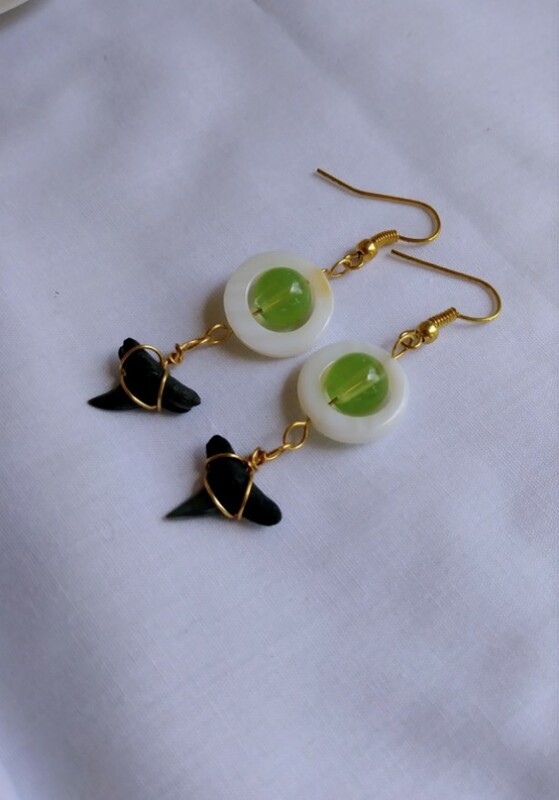 The fossilized shark teeth are accented by green beads, and wrapped with shining gold toned artistic wire. 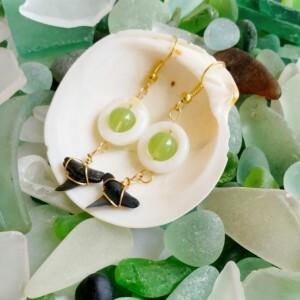 -Genuine fossilized shark teeth from the Floridian coast -Shaped and polished oyster shell accents -Gold toned artistic wire wrapping -Gold toned ear wires -Measure approximately 1.5' x .5"